There’s only one name that comes to mind when you hear that. The Ric Flair Woo! Went beyond the world of wrestling and made its way into the pop culture lexicon. He’s made his way into rap songs and is an unforgettable part of wrestling history. How did this guy become one of wrestling’s best villains ever, only to be embraced by legions of fans? How did this catchphrase get started? Read on about Ric Flair, his unforgettable catchphrases and his impact on pop culture. Flair wrote in memoir Ric Flair: To Be The Man how this famous catchphrase came to be. In 1974, he was driving to shoot commercials at the WRAL studios. On the radio, Jerry Lee Lewis’ classic hit Great Balls of Fire came on the radio. Flair heard the hit and decided to give it a try. Flair, of course, made it his own. As time went on “Woooo!” became longer and stronger. Just like the Nature Boy. Flair’s signature move was the Knife Edge Drop. The move was banned for many years, and there were times that when other wrestlers would perform the move, the audience would yell “Woooo!” as a tribute to The Nature Boy. Yet, somehow, Sports Illustrated only ranked Wooo! at number three in the top catchphrases of all time. The Ric Flair Woo found a set of fans in the hip-hop community. His audacity and brashness and incredible lifestyle and persona became the path for many hip-hop artists to live. That same brashness has inspired an entire generation of artists, and the hip-hop community has embraced Flair. The robes, the bling, the pageantry. Flair knew bling before it was even a thing. He’s been mentioned in countless songs, from Pusha T’s “Don’t Like.” Killer Mike’s “Ric Flair” is a tribute to the great. Now, of course, you can’t mention Ric Flair and hip-hop without mentioning the Ric Flair Drip. Here’s what they have in common. The lifestyle, the partying, the women, the life. The Nature Boy embodied what it means to live a life on the edge. The “Limousine riding, jet flying, kiss stealing, wheeling, dealing.” Yep, that’s the life right there. When Ric Flair first when on the air with a podcast, it was called Wooo! Nation. Every week, he’s interview wrestlers, talk about sports, and tell stories from his illustrious career and unbelievable life. Of course, Flair’s engaging way of storytelling made the show. Unfortunately, he no longer hosts the show because some found his show to be a little too honest. Rather than subject himself to the heat, he decided to terminate the show. In 2017, Houston Astros fans started to chant Wooo! when they found out that right-fielder Josh Reddick was a huge wrestling fan. He’s a huge fan of Flair and was in his first season with the Astros. It was a fun connection between baseball fans and players. That fun was missed by a sports writer for the Fort Worth Star-Telegram. He pleaded with Astros fans to make it stop. Maybe he was upset, that the Astros were beating up on the Texas Rangers. Whatever his reasoning was, he totally missed the point. The writer took to Twitter with his plea to Astros fans. This is when The Nature Boy took note and had his own simple response. How about that for a response? Wooooo! Despite the massive popularity of the Ric Flair Woo!, there are other catchphrases of Flair’s that are just as good. When New Jersey Devils’ Taylor Hall saw a clip of Flair deliver that line on the Jumbotron during a game against the New York Rangers, you can tell he was pumped, and he went on to pump up his teammates on the bench. Not only did Ric Flair have the best lines, but he backed up his talk in the ring. That’s how he became a World Champ 16 times. Is Ric Flair a pop culture icon? This is a debate that’s been going on for a while. A decade after retiring, Ric Flair hasn’t really left the spotlight. Actually, the spotlight never left Flair. You’ll see Flair online, deadlifting 400 pounds, taking in the NBA Finals, and working to ensure the legacy of Ric Flair is out there. 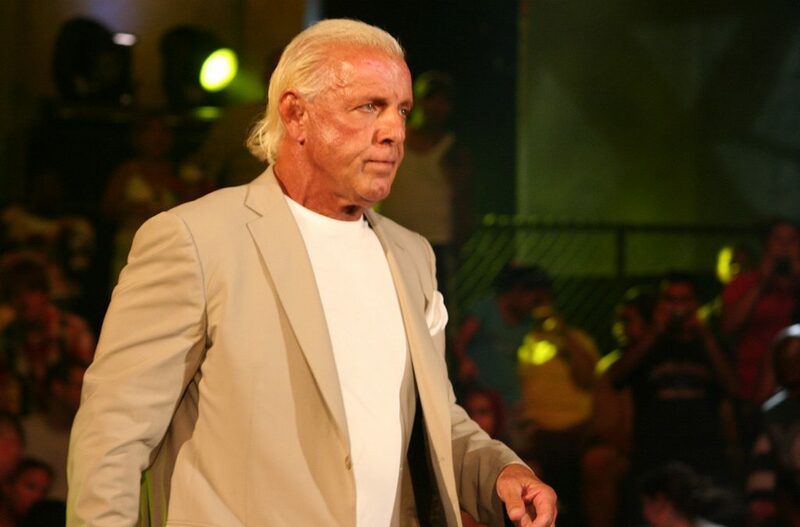 Flair set the course for many people, whether it’s other wrestlers or hip-hop artists. You can Google Ric Flair Woo in French, Spanish, Italian. It doesn’t matter. Woooo! is universal. Even today, wrestling fans can’t forget about The Nature Boy and the mark he’s left in the ring. Who can forget the robes, and the diamonds? Who else is going to go on and win 16 World Titles? Who else is going to sleep with 10,000 women? No one. There is only one Nature Boy, even though Buddy Rogers would disagree. That’s why Wooo! will never go away. Ric Flair is one of wrestling’s all-time greats. It’s not just the wrestling skills that made him stand out. It was his uncanny wit and his ability to entertain that drew the affection of millions of wrestling fans from around the world. His impact on pop culture cannot be measured, given the way the Ric Flair Woo catchphrase has transcended cultures. Who knew that one word would create a legacy? If you can’t get enough of the 16-time world champ, check out the shop for official Ric Flair merchandise.